School Hours - 8:30 a.m. - 3:30 p.m.
•We have multi-grade classrooms that include grades Kindergarten through grade 8 and a strong Physical Education Program. 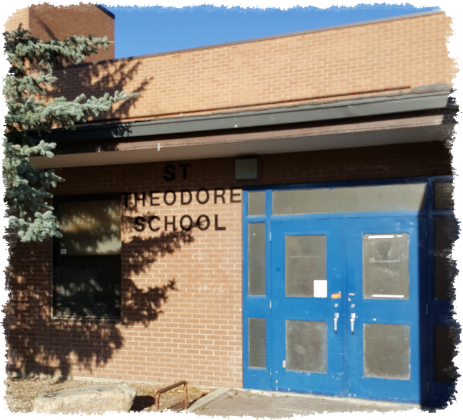 •Grade 6,7,8 students travel to Sacred Heart High School in Yorkton for Practical and Applied Arts including classes in Technology, Home Economics and Industrial Arts. •Faith Based Curriculum with school-wide celebrations and prayer services. Also school assemblies for liturgical events with advent, Christmas, lent, Easter, World Catholic Education Day, and Marian prayers. We have the support of the Roman Catholic Church priest and the Ukrainian Catholic Church priests to be in our pastoral care. •Learning support teacher, speech and language consultant, occupational therapist and school counselor for our students’ needs. •Division consultants in Technology, Language Arts, Math and Religion. •Extra-Curricular activities include cross-country running, badminton, track and field, curling, skating, cross-country skiing, camping experiences. •School Community Council who represent our parents and support our school goals. •The SCC has been a eminent factor in our school and school division purchasing Smartboards for our classrooms. We are happy that our students can work in any classroom and use the superb technology that our Smartboards can offer.